When I woke up at 4:45 yesterday morning in Frankfurt, I checked the status of my flights to DC only to discover that they were cancelled. When I called Delta to ask what was up they told me Air France (my carrier) was on strike and then they booked me on new flights which would get me to DC at 5 pm if everything went right (but how often do things go right on the airlines these days)? I was originally supposed to get in at 1:30 pm and Heather and I had gotten tickets to the Tori Amos concert which would start at 8 pm - so you can imagine my concern. One advantage of my new flights was that they left later so I could sleep longer and Daniel was able to take me the airport to see me off. But I would only have 1 1/2 hrs in Atlanta to get through a) passport control b) getting my bag, going through customs and rechecking my bag c) going through the security check and d) getting to A terminal from E terminal. And then my flight landed 20 min late! So I was thinking I was doomed. But much to my surprise, there were no lines at a) and c) and my bag b) was one of the first to come. d) was no problem and I arrived at my gate right at boarding where I also found out I was upgraded - though first class on a 1 1/2 hr flight only means a larger seat, tea in a real china mug and a bag of chips when coach got nothing to eat. Weather in D.C.? Pouring down rain. Heather picked me up at National airport and we took the metro to her apartment. We ate some hummos and crackers and then headed off to DAR Constitution Hall. Unfortunately for me, Tori opened her set again as the political doll (saw her in Frankfurt) so out of the 4 possible dolls, I have seen 1 twice. Wouldn't be such a big deal, except that her set was almost identical to the Frankfurt set - though I did get Scarlet's Walk for the first time. Highlights of Tori's set for me were Hotel, Leather (first time seeing it live if you can believe that), and the aforementioned Scarlet's Walk. I did get quite a few repeats from the Frankfurt show and I did not get Sugar or Northern Lad (my faves which I still haven't heard!!) but her voice was really on and it was a great performance. Heather really enjoyed it, though we both were really tired by the last songs. We ended up leaving during the last encore to beat the crowd to a taxi and get home to sleep. 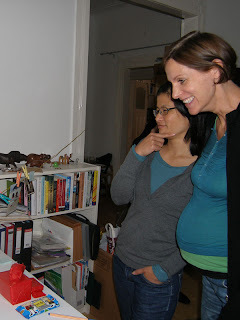 Roanne and I hosted a baby shower for Andrea Gr at my apartment on Sunday. It was supposed to run from 2-4 pm but no one showed up until 3 pm - even the guest of honor was late (so don't believe it when you hear that Germans are always punctual). Baby showers are rare here so most of the guests had never been to one. We played two games - the baby picture guessing game (though only half brought a baby picture of themselves) and the baby food flavor guessing game (who knew that baby food was so ... not tasty?). In other news, I am off to the states again on Friday. I will be in DC to visit Heather, Kelly, Steve and college buddy Gina, then Florida to visit Sommer and family and then Wichita for a week visit with all my family and friends there. I will post updates when I can. And yes, that means I will spend my very first Christmas in Germany this year. http://www.passina.com/ is live! Daniel developed the corporate identity and logo and designed the website. I wrote (most of) the copy. It was launched just in time for the Anuga trade fair (food and drink fair) which we attended on Monday in Cologne. The fair was of course very different than the book fair - we were in the hall with all the fruit juices and energy drinks so free drink samples were everywhere. We also explored the gourmet food hall a bit where I was excited to see American products such as pastrami and twisslers. 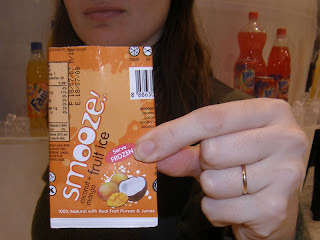 I also really liked this new Smooze fruit ice - made with coconut milk so it is lactose free. Yummy. Passina had hired a band to play at the stand starting at 6 pm and it attracted many dancers and onlookers. After that came to an end, we went to have dinner with the client. I learned many interesting facts about fruit - that's for sure! Sunday is always the most exciting day in terms of getting books (free and otherwise) because it is the last day and all the publishers are packing up to go. This year was no exception. I arrived with Charlotte L at 9:45 to meet Tracy (15 minutes late because C's glasses broke and she ended up having to wear a pair of my contacts even though she is -6 and I am only -4) and we walked straight to Hall 8.0. At Harper Collins they told me that any ARCs or uncorrected proofs I found I could have for free and all other books were 75% off the cover price. 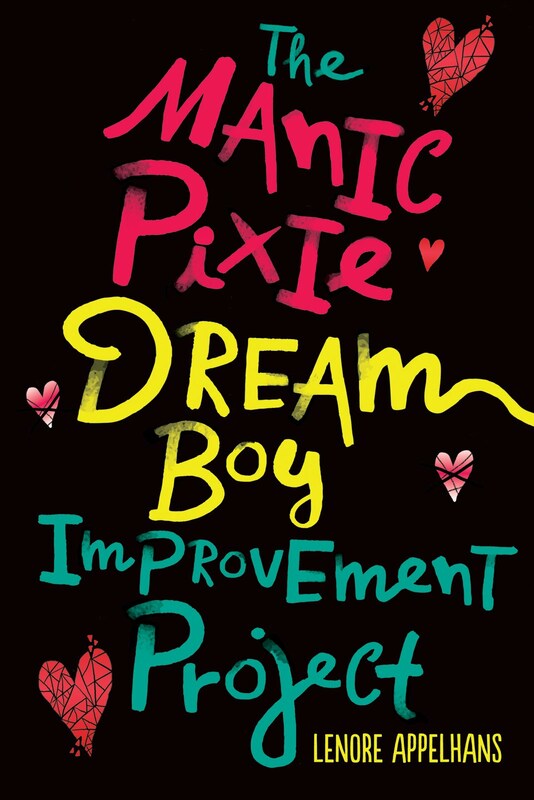 Charlotte and Tracy went into a buying frenzy and I went into a ARC frenzy - I got 5 ARCs, 4 children book mock-ups and bought 1 book. I also lucked out at Faber and Faber, getting 4 ARCs (including Junot Diaz' "The Brief Wonderous Life of Oscar Wao" which I am very excited about and the new Peter Carey "His Illegal Self") and Hachette Book Group where I got 4 thriller ARCs and a free hardback copy of Stephen Colbert's new book "I am America (and so can you)". I also got a free Lonely Planet East Africa guide for a possible future trip. Daniel met us later, bringing pretzels and bakery goods and went off to look at design books -he got a few at really great prices. In between all of our scavenging for books (I really could have gotten WAY more, but at some point, you just can't carry any more...), we kept Wes company at the PowerHouse book stand. Andrea, Silke and her friend came by at one point and we had to take a picture - it looked like the "party" stand! As soon as the closing bell rang, we were out of there. Charlotte, Daniel, Wes and I ate at Coa and then Charlotte left to catch her train back to Bremen. We then had dessert at a cafe next to the old opera house and brought Wes back to our new place to check it out. From my point of view it was a very successful book fair - I have a ton of books to read after only spending 5 Euro (plus the price of my entry ticket - 43 Euro) and I got to hang out with many dear old and new friends. Being Saturday, this was the first day that Daniel could come with me to the fair. We had to get there by 11 am since I had agreed to host an informal SCBWI (Society of Children's Book Writer and Illustrators) get together. Only two members showed up, but we spent an hour talking about children's books and how to best take advantage of the fair. The next thing we wanted to do was go to a book signing from Manfred Deix - another famous German cartoonist that Daniel likes. There we bought two of his books and had them signed - one for Daniel's father 65th birthday and one for us. Charlotte L came down from Bremen and arrived at just after 2 pm, so we met her at the entrance and Daniel took her luggage home while Charlotte and I explored the fair a bit more. We walked around the German literature publishers and at one publisher, S. Fischer, I observed the reps giving out books to a couple of girls. I then asked the girls what they said to get the books and they said they were students. I marched up to the counter and asked if they were giving out copies and she asked me if I was a student. I said "No, but I am learning German". We conversed a bit about me being from the US and then she gave me a book which she really likes - "Family and Other Accidents" by Shari Goldhagen - in German translation of course. She gave me her card and said if I wrote to her after the book fair, she would send me a book from a German author - so let's see what happens! I asked at a few more stands for books but no luck. We had to head home anyway to get ready for Micha's birthday party in Wiesbaden. We got there a little after 6 pm and stayed until nearly midnight. We also went around at looked at the design books in 4.1 and collected magazines. The Economist was free. The Spiegel was free (sadly Daniel had already bought the issue). Focus was free to take only if you signed up for a nine week subscription, but I told her (in my best "broken German") I could only read one in 9 weeks, so she just gave it to me. Stern had a huge stand filled with copies but they wouldn't give any out at all. After all our walking around, we just wanted to relax a bit, so we found comfy seats in the FAZ (Frankfurt newspaper) forum. They even brought us free water! I then had to go pick up Pete (who we know from virtual tourist) in Hall 8.0 to go out to dinner and Lin left. Daniel met us at the Fressgasse ("pig out alley") at a German restaurant where we ate lots of spatzle - yum! On Day 2, my objectives were to attend a couple of children's book events. The first was in the film forum at 11 am - a panel discussing the multimedia possibilities for children's books. It was all very Web 2.0 and the bulk of it was about an author Andy Briggs who will utilize viral, web, and mobile marketing to build up interest in the launch of his new book series. Since I do a lot of work for multimedia agencies, it was nothing new to me, but I do think his book project sounds interesting and he says he plans to do a "making of" video (along the lines of what Peter Jackson did while he was making King Kong) so we could follow him through the whole process of writing, marketing, etc. The second event I went to was in the Reading Tent at 2 pm. It was advertised as a discussion of writing good children's books but... I got nothing out of it. Oh well. I also visited Florian's girlfriend Alice at her stand in Hall 4 briefly (she is working at a Swiss publishing house in Zurich right now) and walked around in Hall 3 looking at German children's books. I happened to walk past the Langenscheidt stand and saw that they distribute bags on the hour, every hour. Since it was nearly time, I joined the small crowd that had gathered - I mean these were "high quality" plastic - not just paper like other stands were giving away. After a few minutes, a sales rep came out and dumped a whole bunch of bags on the floor and ran away. That's when people began pushing and shoving from all directions trying to get at the bags!!! It was unreal. I did get a bag and a couple of bruises as well. If I had known it would go down like that, I would have just watched from a distance. In the evening we went to a children's book launch at a gallery here with our new neighbor who has a baby, Jonah. It was a joint Spanish/German effort and since they just moved to Frankfurt after living in Barcelona for 3 years, I thought they might enjoy it. The illustrations were quite nice, but they story itself was rather bizzare. We left after an hour since Jonah was getting restless. I met Charlotte T at 11:30 and we walked in together. She wanted to show a couple of publishers her mother's poetry, and though I told her Frankfurt is a rights fair and editors usually don't come, apparently she was able to drum up a bit of interest. I went straight to my favorite hall - 8.0 where all the publishers from the US and UK are. My first mission was to find ARC (Advanced Reader Copies - proofs of books yet to be published). Last year I got around 10, mostly thrillers, but this year I only got four: Sara Paretsky's new standalone "Bleeding Kansas" to be released in Jan 2008, "The Almost Moon" by Lovely Bones author Alice Sebold (comes out in a few days), "Devil's Peak" by Deon Meyer to be released in March 2008, and a debut novel by 25 yr old Texan Stefan Merrill Block called "The story of forgetting" set for April 2008. I also collected a few children's book catalogues until I could carry no more, walked around and visited some friendly faces from last year and chatted a while with a couple of reps from Lonely Planet about the Burma situation (LP publishes one of the only travel guides to Burma and are under pressure to pull it to discourage travel there. While I agree that package tours are irresponsible, I think it is essential that independent travellers keep making the trek) and our trip to Zimbabwe earlier this year. At 3 pm, I met Tracy at the entrance and we went to the Comics section in Hall 3.0 because one of Daniel's favorite illustrators, Ralf Koenig, was signing books there. We waited in line a good half hour before meeting him. He drew a genie for Daniel which Tracy thought looked like her brother-in-law Murray Happer (type his name into wikipedia for a picture) so she got him to draw her one too on a page she ripped off of one of my catalogues. Then we went to Hall 5.0 because she wanted to look at some Slovakian books for a friend. By this time, my feet and back were about to give out, so I went home. Guy, my friend Synne's husband, had some meetings at the book fair and since he lives in London, we invited him to stay in our new guest room. So he came around 7 pm and we went out to dinner at our favorite Sushi place. I'm afraid we stayed up a bit too late because we were having so much fun - so I'm exhausted for Day 2... stay tuned. Those of you who know me know that the main thing that has always bothered me about living in Europe is that everyone smokes everywhere. Often times, I have not attended social events because I did not want to breathe in secondhand smoke. It always annoyed me to go to a restaurant and not be able to enjoy my meal because someone was smoking. So you can imagine my joy at Hessen forbidding smoking in public places effective Oct. 1! Last night, for the first time, Daniel I were at a restaurant and I saw smokers get up from their table and go outside to smoke. All of Germany should be smoke free by Jan. 1st next year (except for Oktoberfest). By the way, the restaurant we were at is called Pistazie - a place in Bornheim specializing in persian food - very delicious. We will go back. The Frankfurt book fair starts this week - it is one of my favorite things about Frankfurt so I bought a season ticket good for all 5 days. Can't wait! Germany is known for its many festivals celebrating everything from holidays (Christmas market, carnival) to alcohol (Oktoberfest, wine festivals in the Rheingau). We went to Hausen (where Daniel's mother lives) yesterday to its famous potato festival. Stands were set up selling potatoes in all their incarnations and you could buy an orange sack and harvest your own potatoes from the fields. We didn't get any, because as much as I like potatoes, I don't like to keep them around due to my irrational fear of potato eyes. On our way back to Frankfurt, we stopped by the side of the road and bought some Federweisser (fermenting grape juice) and Zwiebelkuchen (onion cake) - one of the best parts of autumn in my opinion. We also enjoyed driving through the forests with all the leaves on the trees changing colors - very pretty!